SIRANE’S offered a compostable absorbent pad for a while - under our Resolve brand - but we’re now proud to also offer a complete paper-based solution. The Earthpad Resource is aimed at anyone wanting to go green - it’s an absorbent pad which is both compostable and recyclable with the paper. Simon Balderson, Sirane MD, said: “Sirane’s constantly evolving it’s products, and we realised there was a need in the market for a compostable & recyclable pad solution. 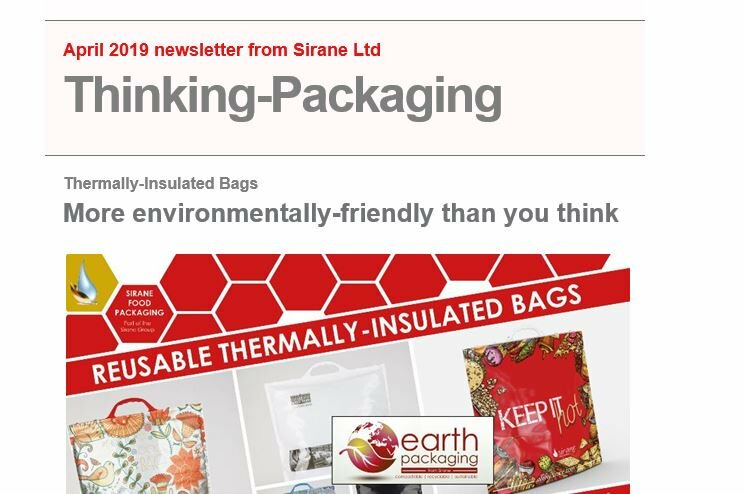 Sirane’s Earth Packaging range – our sustainable, compostable and recyclable packaging solutions – will be a major focus when we exhibit at Packaging Innovations later this month; and Earthpad Resource forms part of that range. Earthpad Resource absorbent pads are a cellulose absorbent layer, bonded to a paper-based top or bottom layer with a bio-polymer coating. Earthpad Resource is available in any size, shape or configuration, including slit rolls. They are currently available in white, with a range of colours available soon. A range of absorbency grades are available - from 800cc/M2 up to 10,000cc/M2. Earthpad Resource is available in single or double sided and is unique in its construction, made without the use of glues. We’ll also be focusing on our award-winning plastic-free Earthpouch at the show. The Earthpouch is one of 12 finalists for the show’s Innovation Gallery. “We can also supply the same plastic-free material in reel format for anyone looking to flow-wrap – this would be our Earthfilm – and also as Earthbags. Packaging Innovations runs at the NEC, Birmingham, from February 27-28. Our stand at the show is L30 – right next to the popular Eco-Pack Theatre.